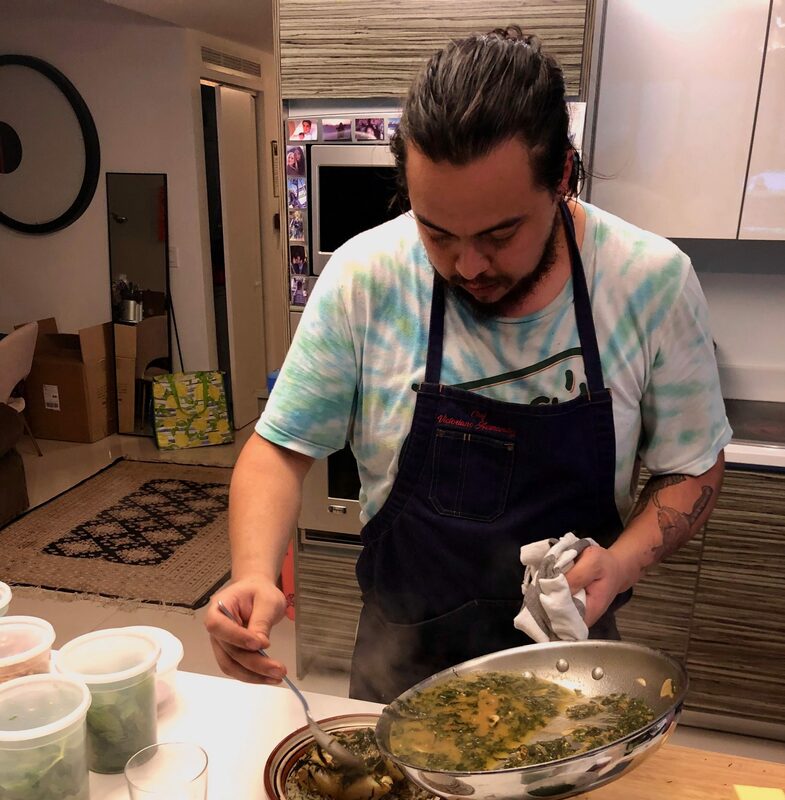 In this episode, Executive Chef Victoriano Hernandez (but you can call him Shaggy) of Fooq’s, a cozy Mediterranean restaurant, located in Downtown Miami is cooking up some Ghalieh Sea Bass. 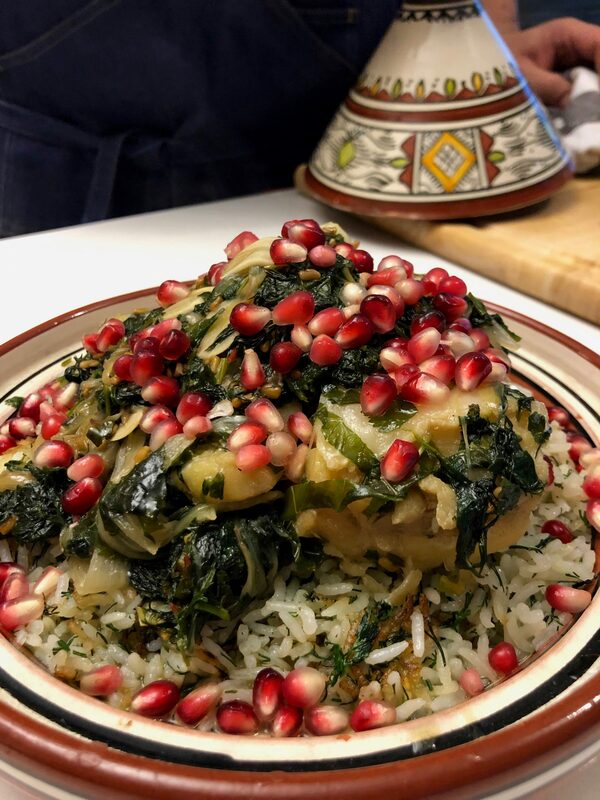 For those unfamiliar with Persian flavors, but ready to entertain and WOW guests with a herb-centric dish, this one’s for you. Chef Shaggy has hand-picked the Wild Caught Chilean Sea Bass to prepare his special dish. The Chilean Sea Bass has a meaty, flaky texture, with a buttery taste. It’s great for both steaming and roasting. 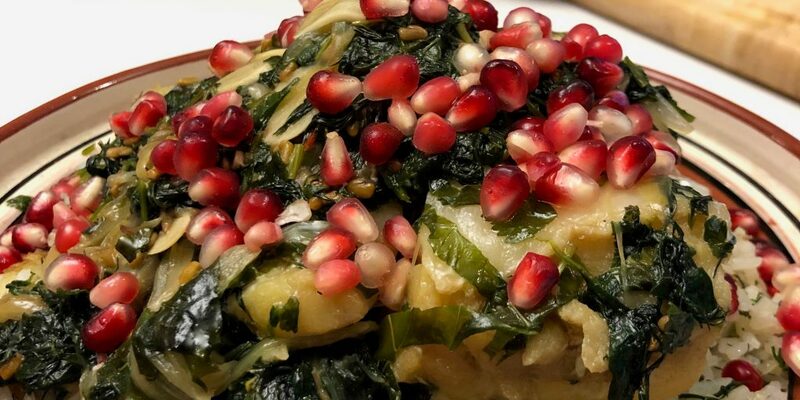 Get ready for an aroma infused comfort dish! Melt butter over medium heat. Add the shallots and let them sweat and release all their juices. Chef Shaggy says is okay if they get a little color so don’t worry about that. Once those bad boys are sweating nicely start adding the herbs in batches, avoid overcrowding (herbs need their space too). Let them cook in the pan until wilted and fragrant. After all the herbs are in the pan and being cooked, add the fenugreek (Chef Shaggy is a huge fan of these seeds) and chili flakes, cook for about one minute over a low simmer. Once that’s done, add the fish and then the water (just enough to barely cover half of the fish). Bring water to boil and then lower to a simmer, add on a lid and cook for 12 – 15 minutes. Top off your dish with freshly squeezed lime and pomegranate molasses. Serve with a side of rice.